Join us for our first Holiday Cookie Exchange! Sample and share cookies of all kinds as you mingle with new friends and gather new recipes for your recipe coffer. Dust off your recipe box and bring in your Great Grandma’s favorite holiday treat or your own original recipe. The exchange event will be held on November 11th, from 1:00 – 3:00 p.m., at the TADL Main Library’s McGuire Community Room. 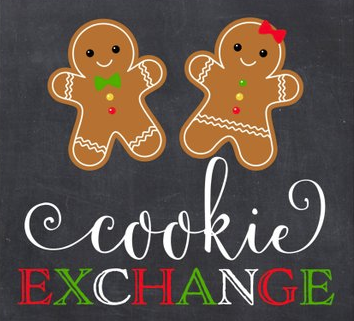 Participants will make and bring four dozen cookies to share at the exchange. Recipe is required to participate. Recipe is required before event (to avoid duplicate recipes and for recipe distribution to participants). Bring a container to carry your take home cookies!